ScienceAlerts.com is a new social network featuring the latest information in the basic and applied sciences of biology, environment, forestry, geography and health. The members of this new website monitor nearly 3,500 journals publishing in these fields and alert visitors in real-time through topic-specific site content and RSS feeds. The latest addition to this natural sciences website is the Biological Sciences Category with nearly 517,000 articles partly derived by monitoring almost 1,000 scientific biology publishing sources. ScienceAlerts.com is a Web 2.0 social network to discover and share scholarly content in in the basic and applied sciences of agriculture, biology, environment, forestry, geography and health. While this new website has been operating on an on-invitation only basis for some time, it went fully online on Tuesday, February 28, 2012. 17,428 members have signed up and actively contribute content to the site which is always accessible through several ScienceAlerts.com RSS feeds. The new Biological Sciences category currently features 516,830 stories largely derived from over 984 scientific biology publishing sources. 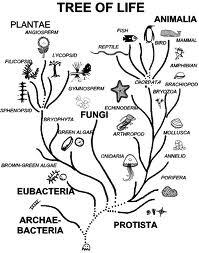 ScienceAlerts.com's Biological Sciences Category covers life and living organisms, including their structure, function, growth, origin, genetics, and distribution. It currently contains 516,830 stories partly derived from nearly 1,000 scholarly biology journals. This category also provides an Biological Sciences RSS feed which is one of the best and most popular ways of staying up to date with the latest research in this science discipline. One of the latest articles states that hydrogenotrophic microbiota distinguish native Africans from African and European Americans. Reduced susceptibility to sporadic colorectal cancer in native Africans (NA) is correlated with low consumption of animal products and greater microbial production of colonic methane. Terminal restriction fragment length polymorphism analysis of 16S rRNA genes and specific functional genes, combined with multivariate statistical analyses, revealed that NA harboured more diverse and different Archaea and MA populations than African Americans and European Americans. Another article reports the autochthonous existence of Vibrio cholerae in coastal waters of Iceland, a geothermally active country where cholera is absent and has never been reported. The authors collected seawater, mussel and macroalgae samples close to, and distant from, sites where geothermal activity causes a significant increase in water temperature during low tides. Vibrio cholerae was detected only at geothermal-influenced sites during low-tides. None of the V. cholerae isolates encoded cholera toxin (ctxAB) and all were non-O1/non-O139 serogroups. However, all isolates encoded other virulence factors that are associated with cholera as well as extra-intestinal V. cholerae infections. Besides the Biological Sciences category, ScienceAlerts.com contains an Agricultural Sciences Category which deals with the cultivation and production of crops, raising of livestock, and postharvest processing of natural products. ScienceAlerts.com's Environmental Sciences Category covers the external physical conditions affecting growth, development, and survival of organisms, and their management while it's Forestry Sciences Category presents the cultivation, maintenance, and development of forests. ScienceAlerts.com's Geographical Sciences Category covers the physical characteristics of the earth including its surface features, and the distribution of life on earth, and that of the Health Sciences aggregates the effects of disease and medical treatment on the overall condition of organisms. 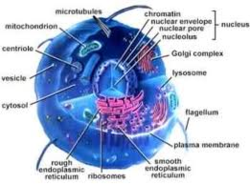 ScienceAlerts.com's review process is partly automated and partly manual to rigorously ensure that only relevant content is featured on the site. Since new science content is discovered in real-time, the delay between original publication and appearance at ScienceAlerts.com is usually only minutes. ScienceAlerts.com includes a search feature to retrieve specific titles or keywords from its' large database. In addition, it suggests up to ten related articles for each article selected. The site also maintains the new Twitter account @Science_Alerts.